Private joint-stock company Kyivvodokanal as the employers on the project to reconstruct Bortnychi wastewater treatment plant financed using the loan issued by Japan for the amount of JPY 108.193 billion (around $970 million) has announced an international tender to select the general contractor for construction works under the project. 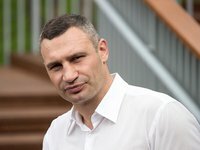 "Kyiv is starting implementation of one of the largest infrastructure projects in Ukraine – the reconstruction of the Bortnychi wastewater treatment plant," the press service of Kyiv City Administration has reported, citing Kyiv Mayor Vitali Klitschko. The Bortnychi wastewater treatment plant is one of the largest wastewater treatment plants in Eastern Europe and the only wastewater treatment plant in Kyiv. Kyivvodokanal said on its website that at the end of February this year, the Japan International Cooperation Agency (JICA), acting as a creditor on behalf of the Japanese government, officially agreed on all tender documentation. The loan is granted for 40 years at 0.1% per annum with a grace period of 10 years. Under the terms of the loan, 30% of the total cost of construction should be used to buy goods and services supplied from Japan. According to the materials of Kyivvodokanal, contractual procedures and the signing of the contract with the general contractor are scheduled for December 2019, and the implementation of the construction work itself will be from February 2020 through August 2025. After the modernization, the level of hydrogen sulfide at the border of the sanitary protection zone should fall from 2.2-6.01 to 0.07-0.19 mg per cubic meter, methane – from 0.3-1 to 0.01 mg per cubic meter, methyl mercaptan – from 1.9-5 to 0.09-0.2 mg per cubic meter and ethyl mercaptan – from 3-8.51 to 0.15-0.38 mg per cubic meter. The loan agreement between JICA and the government of Ukraine was signed on June 15, 2015. Since December 2018, Kyivvodokanal has been working with a consortium of Japanese companies Nippon Koei Co., TEC International Co. and Nihon Suiko Sekkei Co. as a consultant and designer of working documentation. The joint venture agreement signed with this consortium in March 2018 is intended for a period of 88 months.